Winter months offer a great time to do woods-work on your property. One of the techniques that pay off during this time of the year is hinge-cutting maples, poplar and other softwood species. Hinge-cutting refers to cutting partially through a tree and felling it or pushing it over so that it remains connected to the stump and root system. This becomes an immediate browse source for your herd, but because you leave it connected to the root system it will continue to produce browse and cover for years to come. Other species can also be hinge-cut, it’s just the soft wood species offer some of the best browse available. Hinge-cutting is also a great technique for creating screening cover, to quickly thicken up bedding areas or for blocking deer from using certain trails/areas. Right now is a perfect time to do this in northern ranges where other food may be scarce, but it will show results wherever whitetails roam. 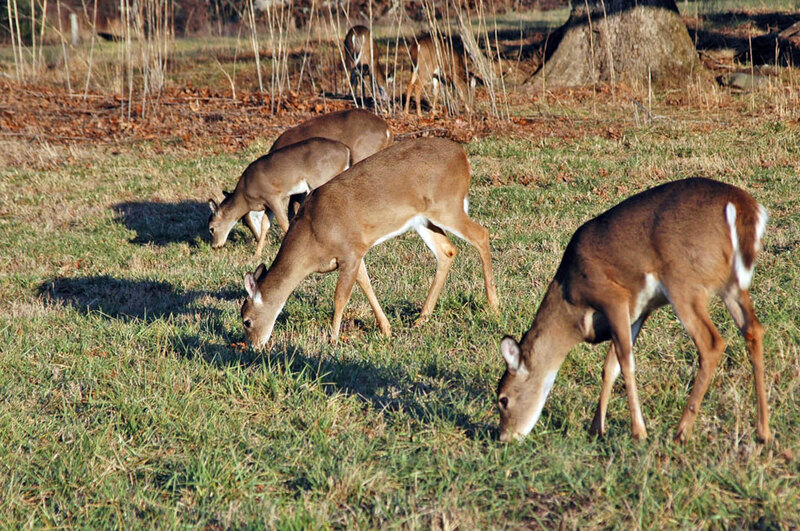 Most do not know that even if you have the best food plots in your area, whitetails still require browse. 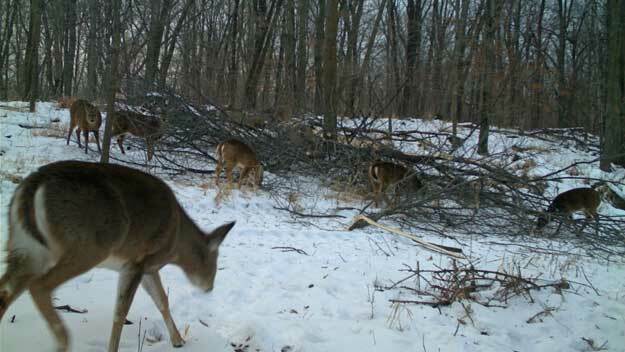 Although it’s terrible nutrition, this woody browse will make up a fair portion of their food intake no matter what else they have available, for some reason whitetails have to have it. It depends upon your purpose for the hinge-cut as to where the cut should be made, but safety should always be considered foremost. 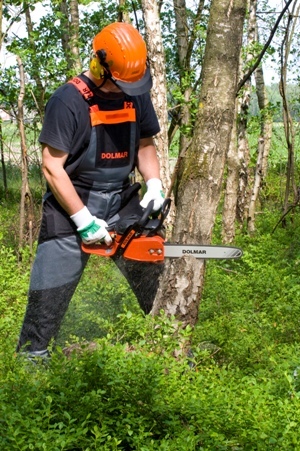 Most chose to cut about waist high just because it’s a comfortable height to hold your chainsaw. It’s important to note; however, that you don’t need a chainsaw to do some major hinge-cutting on your property. Since you aren’t targeting trees with a huge-diameter a handsaw can be used. 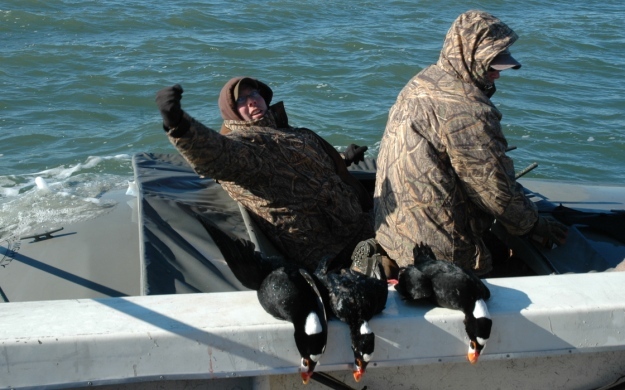 What Is a Sea Duck and How Do You Hunt Them? We practice hinge cutting, the process of cutting trees with no economic value and letting the tops of those trees fall over, on quite a few of the farms where we plant green fields. Hinge cutting makes open areas thicker and creates feeding, bedding and cover for deer. It’s great if you have natural bedding areas. 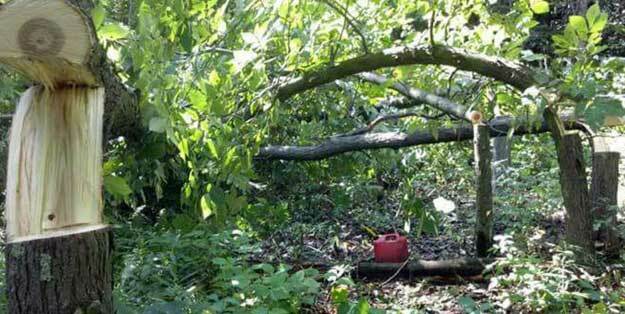 Otherwise, you can create them by hinge cutting and completely felling some trees so they fall over each other but don’t form an impenetrable thicket. I also like to plant a few shrubs and white pines or spruce to provide a further “security” feeling for bucks if the area isn’t quite thick enough.